Being over 5,000 miles away from the great food in Philly is tough. I got to eat this stuff all of the time as a kid living in Philly or whenever I would visit later on. Now, it’s a rarity and I miss these foods every day. I always see all of it on the Slingbox. 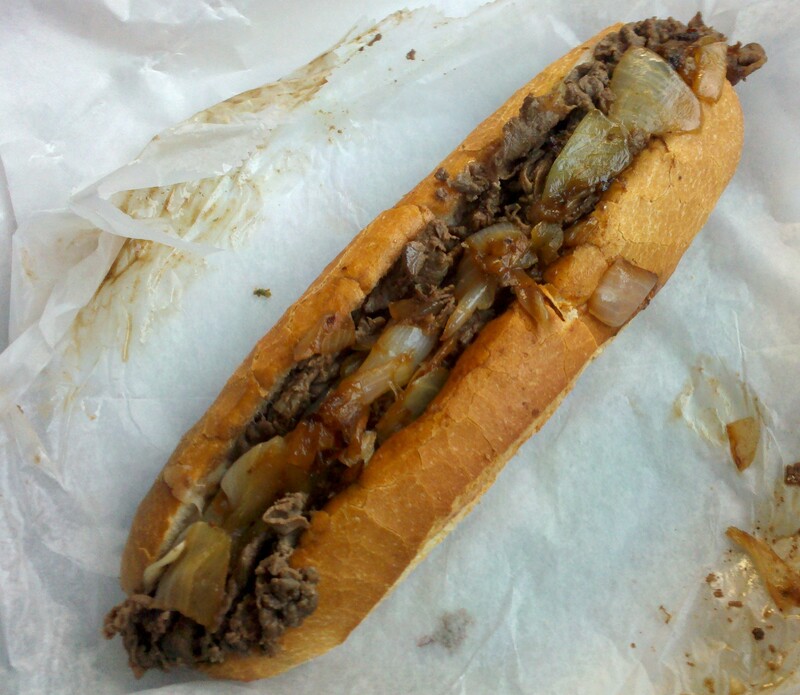 I wish that there was a Philly Food Draft, because this is what I would select. DISCLAIMER: When I visit the US, the vast majority of my time is spent in the DC suburbs and certain would-be draft picks are readily available and therefore not selected. 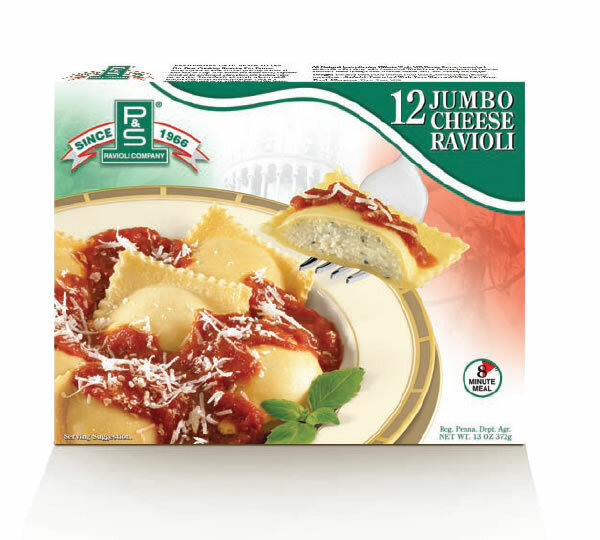 P & S cheese raviolis are my favorite food ever. As a kid, I would literally get cut off after eating about 2 dozen. I haven’t had any in probably 3 years. I once smuggled 10 boxes back to VA and gave 5 to my dad. He scoffed at me for not giving him all 10 boxes and told me to, “Enjoy your Prego.” As if I would even consider desecrating these little squares of perfection with jarred sauce. It is stop #3 of the Triumvirate*. I can never get enough of these. 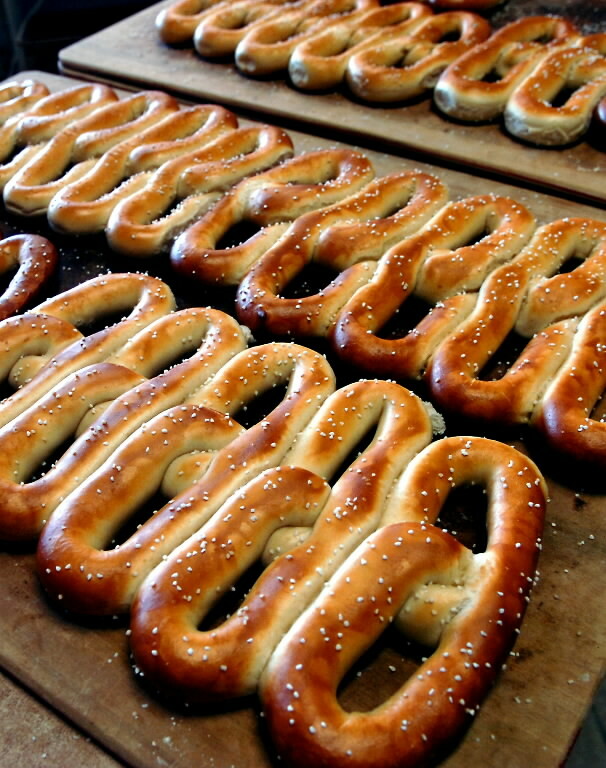 It’s an abomination that you can’t get good pretzels at Phillies games. My favorites are De Palma’s on Cottman Ave (stop #1 of the Triumvirate) and Jim’s off of Woodhaven Road. I just found out that there’s a Jim’s in Kitty Hawk, NC. This is extraordinary news, since I will be there for a week in July. Any time that my family visits from Philly, it is MANDATORY that they bring at least 50 pretzels (100 is customary). Much like the raviolis, there is no limit to how many of these I can eat. I was a provolone man for quite some time. The past few though, I’ve been getting whiz or American. Always with. I’m also partial to adding hot peppers and pickles, but it’s not a must. As a kid, I used ketchup, but I think I outgrew that. Chink’s is really good (stop #2 of the triumvirate). Dalessandro’s is also really good and not too far from Mrs. Phan’s great-uncle’s house, but it’s been 2-3 years since I’ve had a cheesesteak. When I was little and still living in Philly, I asked my dad what scrapple was made of. He told me it was made out of brains. Of course, I 100% believed him and I still do, because I haven’t found any evidence that it isn’t. 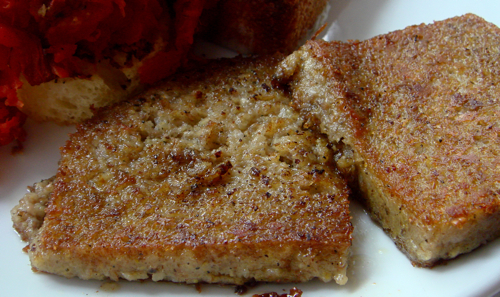 When people ask me what scrapple is, I tell them, “It’s what’s left after they make hot dogs.” Then, I laugh right in their horrified faces. I actually bought scrapple from somebody who knew somebody from the embassy down here in Santiago. They knew that I was from Philly, so they sold it to me. Very shady. It wasn’t that good, but I had the shakes pretty bad, so it was worth it. A couple cases should do. I’m a beer fan in general. There’s about 3 beers that I don’t like and 1,326 that I do like. I love cheap beer. 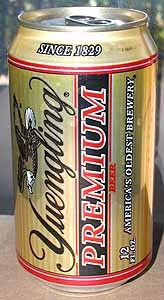 Yuengling Lager is my favorite beer, but I can get that whenever I come back to the U.S. to visit my parents. Yuengling Premium, however, I cannot get in VA. My uncle and I can put these away with relative ease while watching a sporting event. We’ll then both pass out at around 10:30pm. It's got to have lemon seeds in it. Water ice is fantastic. I pretty much only ever get lemon. Cherry as a second choice. 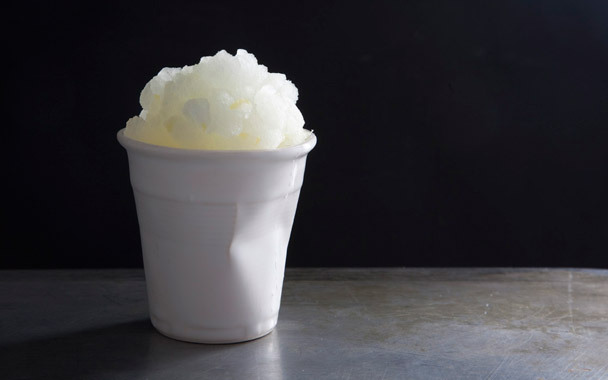 We have Rita’s in VA now, but Rita’s is not the same as other water ice spots. It’s way better than nothing though. Turkey Hill makes my favorite ice cream. I pooped my pants when I was in a Chilean grocery store and saw it sitting in the ice cream freezer. They typically have about 6 flavors down here. I still can’t believe they carry it. Eating an entire half gallon makes me root better. My favorite flavor is coffee, and I usually don’t like tons of crap in my ice cream. However, I love both the Phillies and Eagles ice cream (probably just because they have Phillies and Eagles logos on the boxes). You used to be able to buy these flavors in VA a few years ago, but not anymore. I don’t know why because I would literally buy out their stock each week, so it was definitely flying off of the shelves. I guess I blame the Redskins and the Natinals (sic). I never got to try the Phanatic’s Double Play (which I don’t think they make anymore) or the new Batter Up flavor (it sounds revolting, but if the Phanatic likes it, then I probably will too). Thanks to there being a Wawa a mile from my parents house, I have easy access to Tastykakes and decent hoagies (italian) whenever I’m visiting the US. I love Tastykake pies (blueberry, peach, cherry, and lemon are my top 4) so much, that I usually don’t even eat other Tastykake products even though I love them too (Krimpets, Kandy Kakes, etc). I miss the old Tastykake packaging though and I still haven’t gotten used to the pull tab boxes and tin trays. I was going to put Herr’s potato chips as pick #7, but Mrs. Phan and I argued about whether you can get those in VA or not, so I left them off. The Triumvirate is a collection of 3 quick and easy stops right off of 95. You can get soft pretzels immediately off the Cottman Ave exit at De Palma’s. 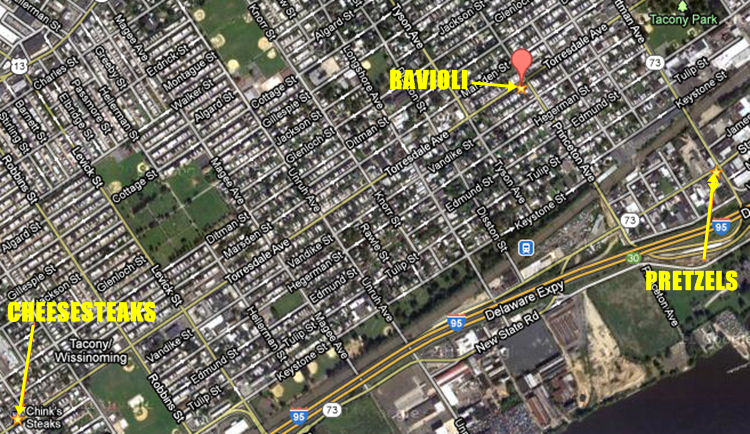 Take a left on Torresdale Ave and you’ll hit Chink’s. Make a u-turn and head back to P & S. Make a right on Princeton Ave and you’re right back on 95. You can do the whole loop in 15 minutes (the only wait is for the cheesesteak). The proudest I ever was of myself is the day I figured this out. WHAT ARE YOUS(E) WAITING FOR?? This entry was posted in Philly Sports and tagged beer, brains, cheesesteak, draft, eating, food, gluttony, Philadelphia, pretzels, ravioli, scrapple, water ice, Yuengling. Bookmark the permalink. Reblogged this on California Phillies Phanatics.